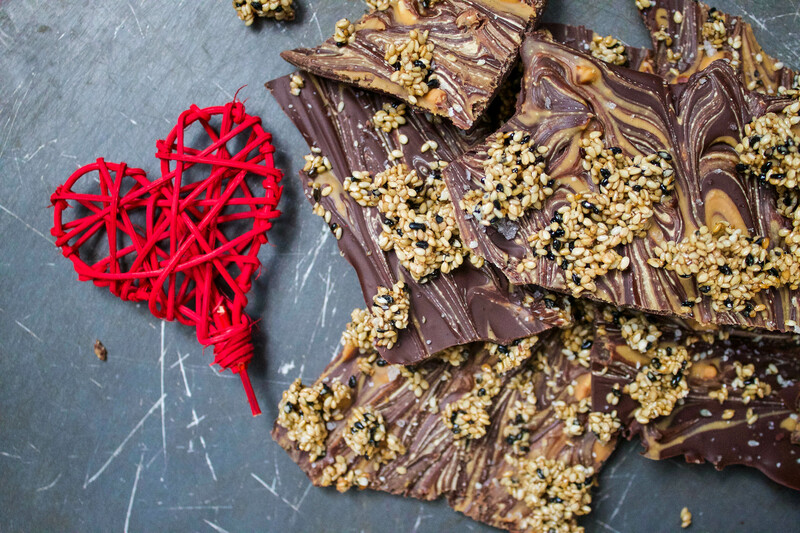 This insanely addictive Valentines Day recipe was inspired by my new chocolate obsession – the Lindt sesame dark chocolate bar. Literally, I can’t stop eating it, I should have titled this recipe pure CRACK! 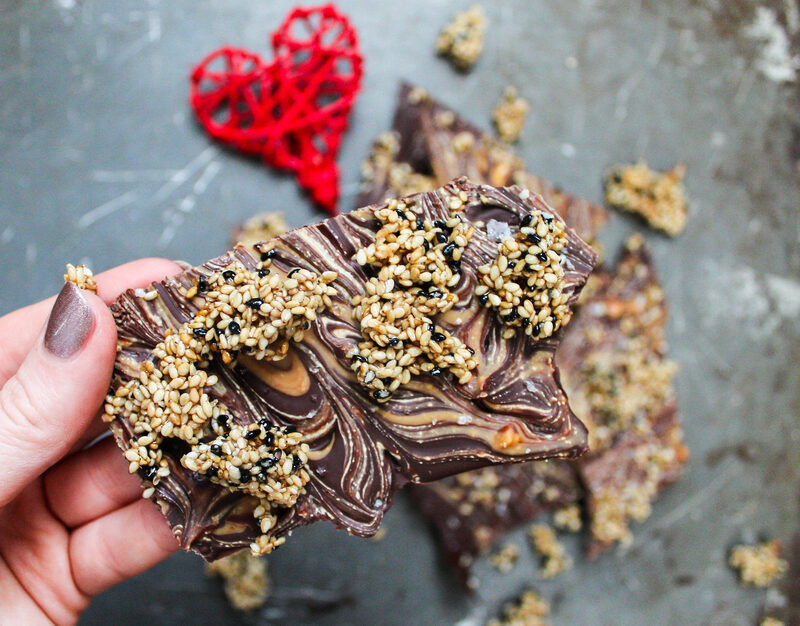 The combination of the sweet yet nutty sesame seeds and rich dark chocolate is a perfect match. My initial idea was to make these into amazing little peanut butter cups with homemade chocolate. After various failed attempts, I ran out of cacao powder and wax liners and decided to head in a completely different direction. 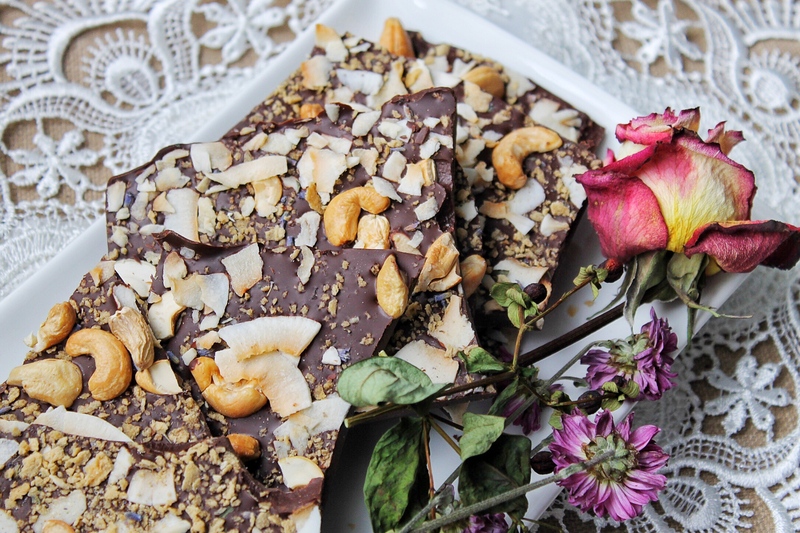 Afterall, chocolate bark has always served me well and is ridiculously easy to make. I will continue to work on making my own chocolate, so stay tuned for that. For now, melting good quality chocolate will do. I caramelized my toasted sesame seeds in pure maple syrup, and I could have just eaten that on its own. It reminded me of an even better sesame snap (remember those?). 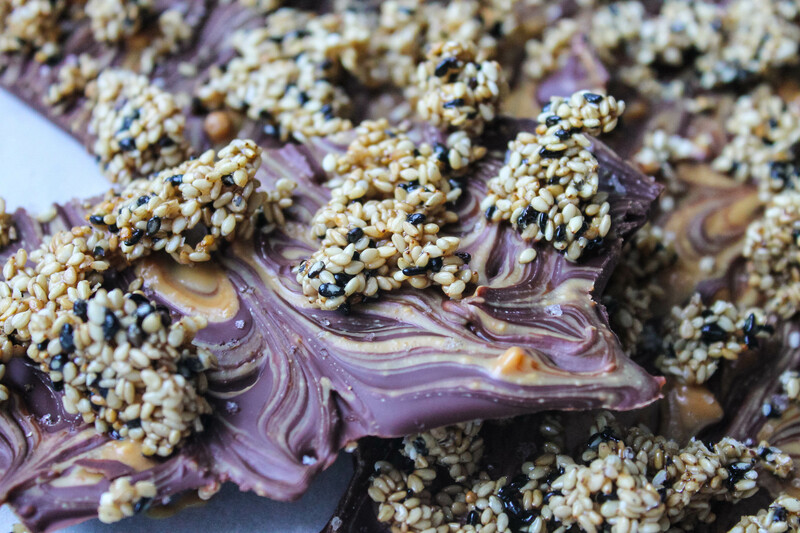 The addition of the peanut butter into the dark chocolate really compliments the nuttiness of the sesame seeds. As you all know by now, there is nothing I love more than sweet and savoury, so a sprinkling of course salt is the perfect final component. 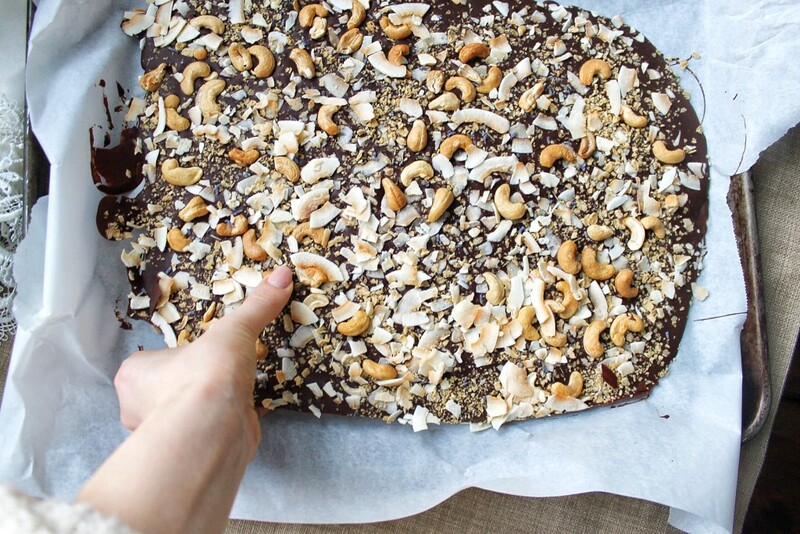 With only 5 ingredients, it doesn’t get much easier than this. The final product is made in under 10 minutes, and can even be made in advance and stored in the freezer for days (but your loved ones don’t need to know that!). 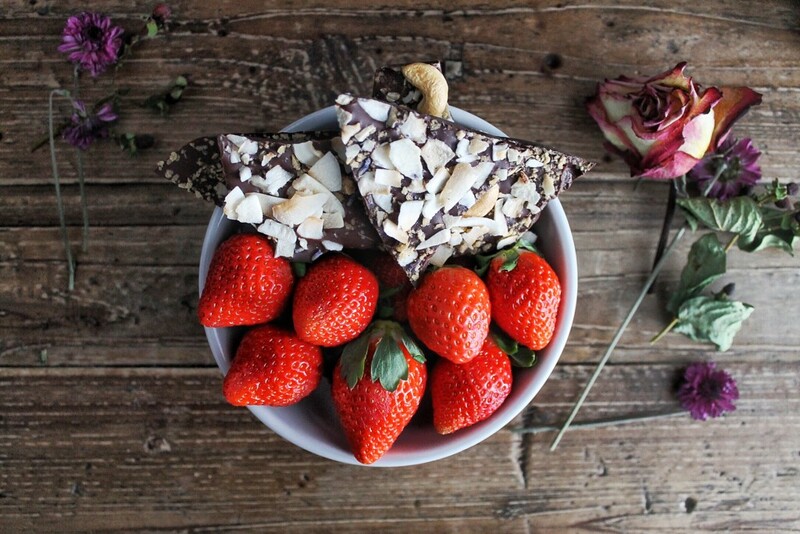 Giving a homemade treat this Valentines Day, will make it one that’s truly special. Happy Valentines Day to you my loves. 1. Prepare two large cookie sheets lined with parchment paper. Heat maple syrup in a small saucepan over medium heat until it begins to bubble. Add your sesame seeds and cook together with the maple syrup for about 5 minutes or until they seeds are well coated in the syrup. 2. 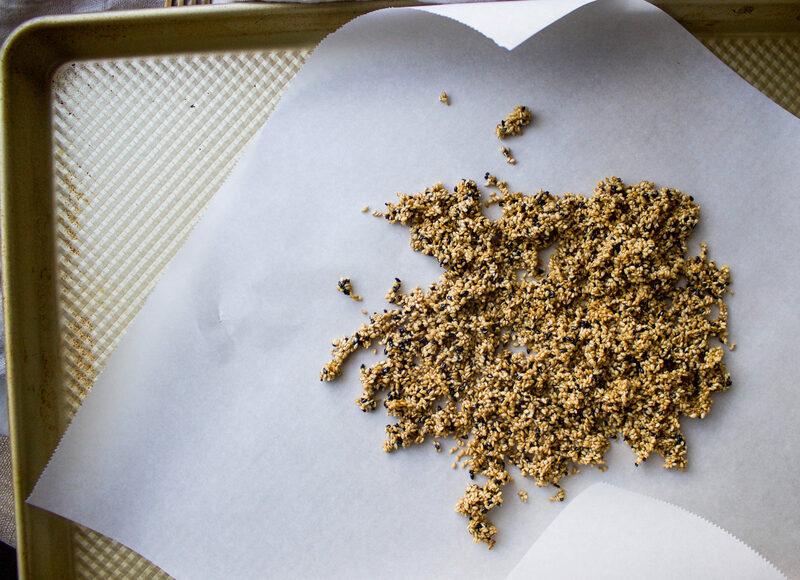 Spread out the sesame seeds onto the parchment lined cookie sheet. It’s ok if there are clusters! Allow to cool. 3. 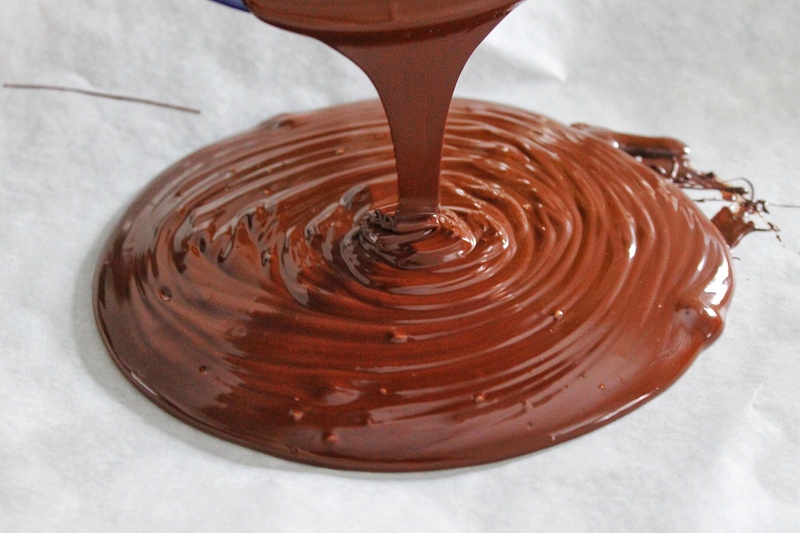 Over a double boiler OR by heating in the microwave in 30 second intervals, melt your chocolate. If you use the microwave make sure to stir really well in between each 30 seconds. 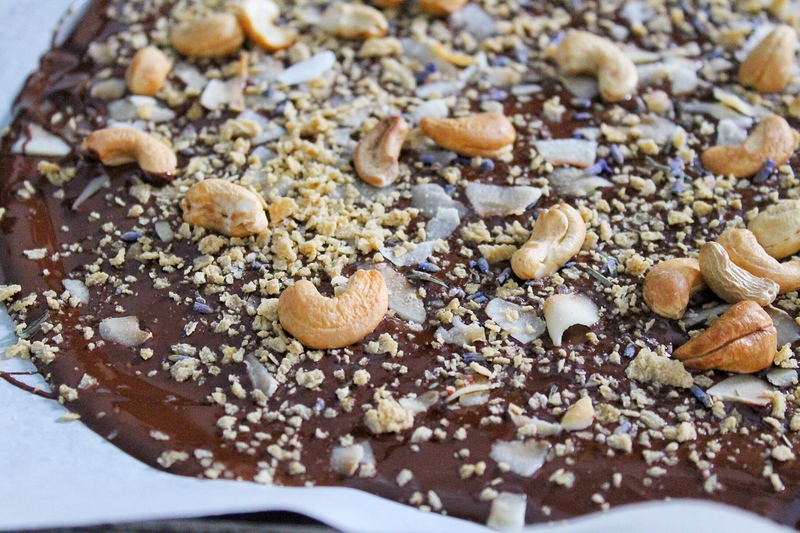 You don’t want to burn your chocolate. 4. Spread the chocolate evenly on your remaining parchment lined cookie sheet. 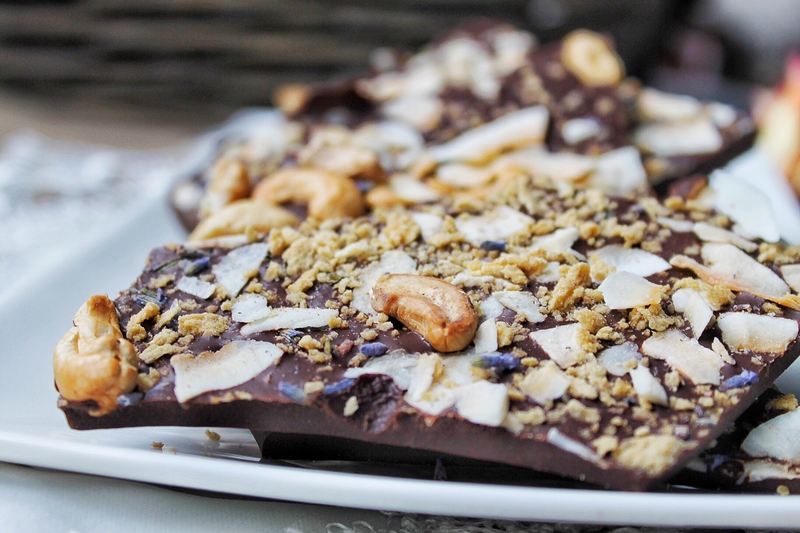 The more you spread the chocolate, the thinner your chocolate bark will be. 5. If your peanut butter is hard from the fridge, microwave for 30 seconds so it is spreadable. Then, disperse dollops of peanut butter evenly on the chocolate. Using a toothpick or fork, swirl the peanut butter into the chocolate. Using your hands, break apart the caramelized sesame over the chocolate, then sprinkle with coarse salt. Place in the freezer for at least an hour or until set. Break apart using your hands into desired size. Store in an airtight container (I like keeping it in the freezer).